Thank you for choosing Medical Care San Diego! Having to go to an emergency room is stressful, time-consuming and can be pretty expensive. At Medical Care San Diego, we are here to give the very best and affordable care for everyone in San Diego, California. If your emergency visit is not terribly severe, we will treat you quickly, saving you time and relieving your pain. We are the #1 rated walk-in clinic in San Diego! If your regular doctor is not available, Medical Care San Diego is centrally located for your convenience to provide you with immediate attention. If you are visiting San Diego or have just moved here, our excellent team of physicians will be glad to offer you the care you are looking for. We treat local residents and vacationers daily! Our walk-in clinic is here to give you high-quality medical care for your entire family. We are very proud of our professional staff for their excellent customer service skills in San Diego. Our physicians are extremely compassionate and come with many years of medical experience. At Medical Care San Diego we strive to deliver the best experience possible while you’re in our care. This all begins with our wait time being no longer than 15 minutes to insure that you receive the help you need as soon as possible. Also you will see the doctor every time, not an MA or nurse. We take pride in helping patients get back to everyday life! We offer treatment for most injuries and illnesses in addition to physicals and lab testing. If you do not see what you need treatment for please feel free to give us a call so that we can answer any questions you may have. Dr. Mann is Board Certified in Emergency Medicine to guarantee your trust and comfort while you’re here. If you are looking for a walk-in clinic in La Jolla, you have come to the right place! Visit us today! We are also happy to announce the opening of our sister facility Mole Removal San Diego & Ultherapy Center San Diego! We are here to help! Call NOW or stop by our La Jolla walk-in clinic! 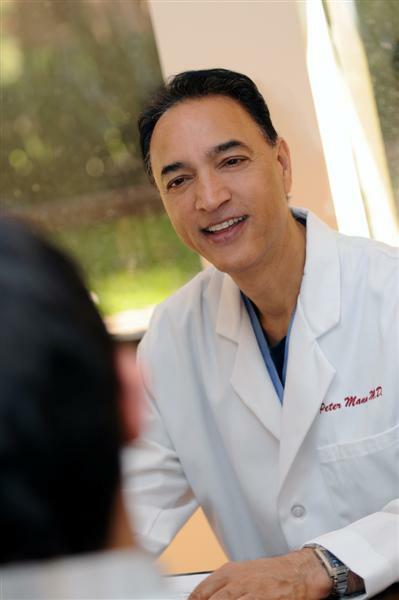 A wealth of experience: Surgically trained at Yale and additionally Board Certified in Emergency Medicine, Dr. Mann is the founder and board certified medical director of Medical Care San Diego, a walk-in clinic are in la Jolla village. He is well known in the community as a vascular surgeon and cosmetic laser specialists and operates The Secret Vein Clinic. A teacher and an innovator he is nationally recognized for his expertise in the medical field. After graduating from medical school with honors, he entered a surgical internship at Yale University, Yale Newhaven Health, Connecticut. He then completed a surgical residency at Orlando Regional Medical Center in Florida. He concluded his training with a full cardiovascular surgery fellowship at the prestigious Medical College of Pennsylvania in Philadelphia. In addition to his surgical expertise he is board certified in Emergency Medicine, which provides an extra layer of safety to every procedure he performs. There is no other place walk-in clinic in La Jolla like Medical Care San Diego! I had lunch at nearby restaurant, and had an allergic reaction that needed to be medically treated right away. I saw that a walk-in clinic called Medical Care San Diego was within blocks from where I was, and rushed there immediately. I am still shocked that I was seen and treated the moment I stepped in. Dr. Mann's bedside manner kept me calm, and reassured me that I would be okay. I highly recommend all of my friends and family to see Dr. Mann and staff for any medical attention! THANK YOU!! Wonderful experience! I unfortunately came down with a bad bladder infection and knew I needed medical attention. Since I was traveling for work, I really didn't know how I would get through my week with such pain. Luckily, I found this walk-in clinic and was seen right away! I received treatment and a prescription all within less than an 30 min. Dr. Mann and his staff are very professional, knowledgeable and delivered exactly what I needed; personal attention. 5 out of 5! Dr. Mann is amazing with my kids. They usually hate going to the doctor but Dr. Mann able to calm them down and treat them without causing any unnecessary fuss. I have even started taking them here to get their yearly physicals for school. When they were younger I used to take them to the ER if they were sick or hurt but I absolutely hated waiting around to be treated. I love how efficient this walk-in clinic is, wouldn't go anywhere else! Working in the medical field my entire life I can say that I have seen my fair share of walk-in clinics and emergency rooms. I have been coming to Medical Care San Diego for over a year now because of the level of service I have received from Dr. Mann and the rest of his staff. I never have to wait when I come here and I am able to get in and out with very little headache. This place is a life saver. Do I need an appointment to visit your walk-in clinic? Absolutely not! Our walk-in clinic is a great option for many patients because with no appointment necessary, patients can receive care when they need it, usually with little or zero wait time. Of course our patients are always welcome to make an appointment if they would like to ensure that a specific time is reserved. When should I visit an emergency room versus a walk-in clinic? Walk-in clinics are very different from Emergency Rooms. Walk-in clinics are smaller than emergency rooms and patients will not face the dramatic wait times that can occur in busy emergency rooms. Walk-in clinics treat non-life threatening illnesses and injuries, while Emergency Rooms treat all medical conditions. Will I see a physician at the clinic or an assistant or nurse? When visiting Medical Care San Diego, you will receive personal attention and care from Dr. Peter Mann, M.D. who is Board Certified in Emergency Medicine. With training at premier medical institutions and years of medical and surgical experience, Dr. Mann is prepared to treat whatever may be affecting you. Every patient at our clinic is seen by a physician during their appointment. Do I need insurance to visit Medical Care San Diego? Medical Care San Diego is a concierge medical clinic which means our front desk staff will not verify or bill insurance companies for clinic visits. All payments for treatment are paid out-of-pocket by the patient. After treatment, patients may decide to call their insurance company themselves and receive a reimbursement for their medical clinic visit. If clinic visits are covered by your insurance plan, then reimbursement is very likely.